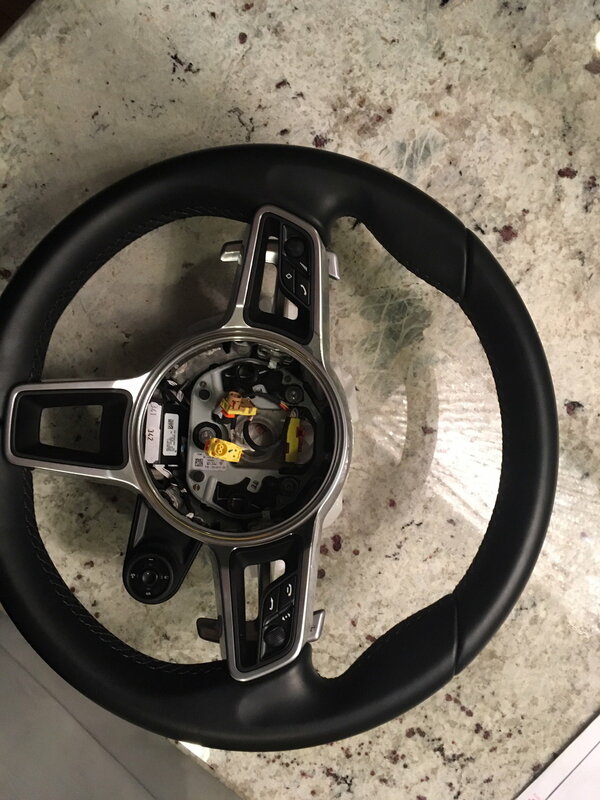 GT Sport Steering wheel from a 2017 C4S - diameter 360 mm. 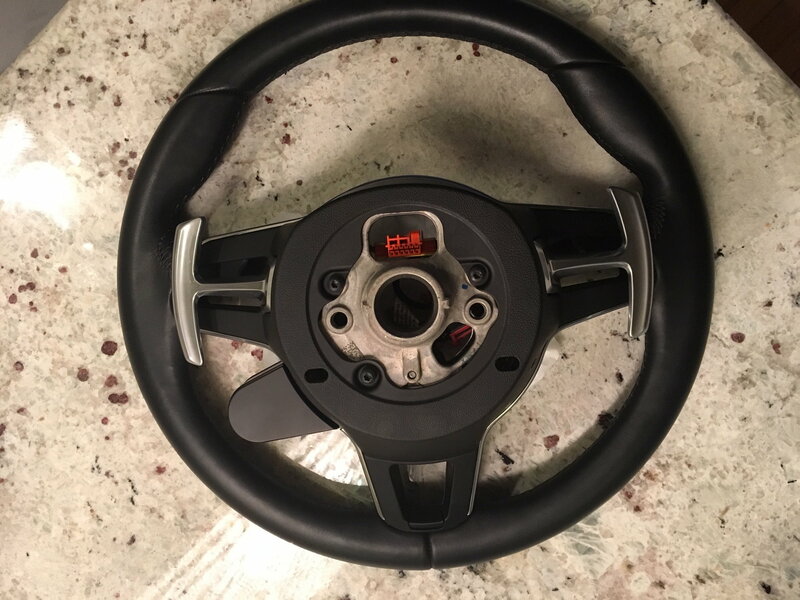 The wheel is finished in premium black leather. Multifunction for operation of audio and communication functions and the on-board computer. No scratches perfect working condition. 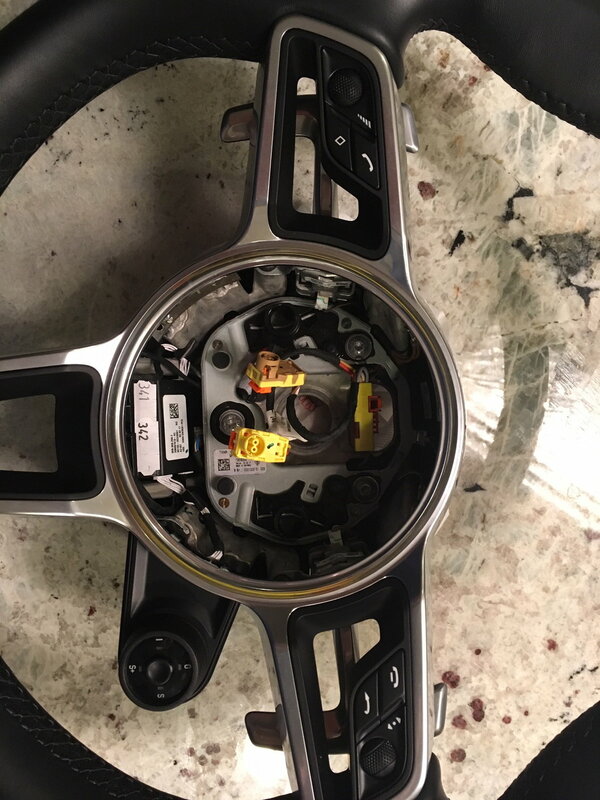 Fits 2017 - 2019 911 Carrera, Boxster, & Cayman models. 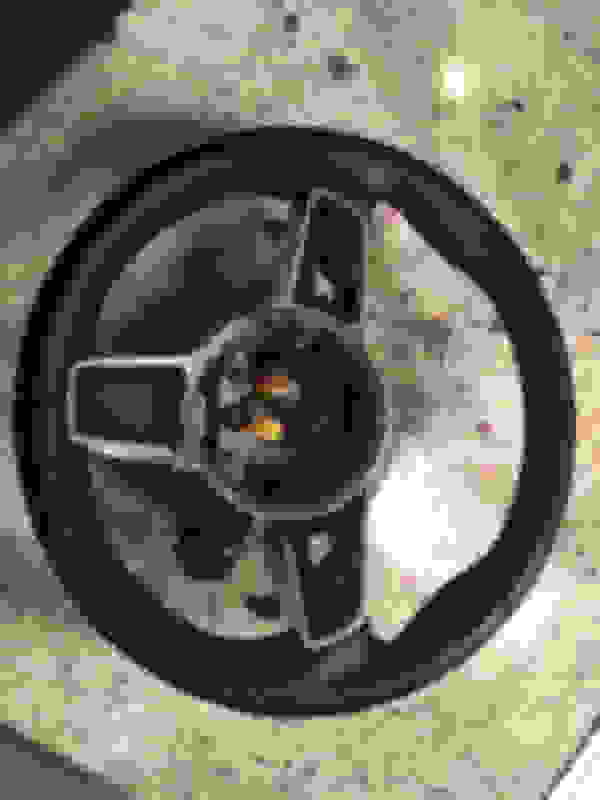 - If your car has heating and multi-function controls on your steering wheel, this is a direct replacement. 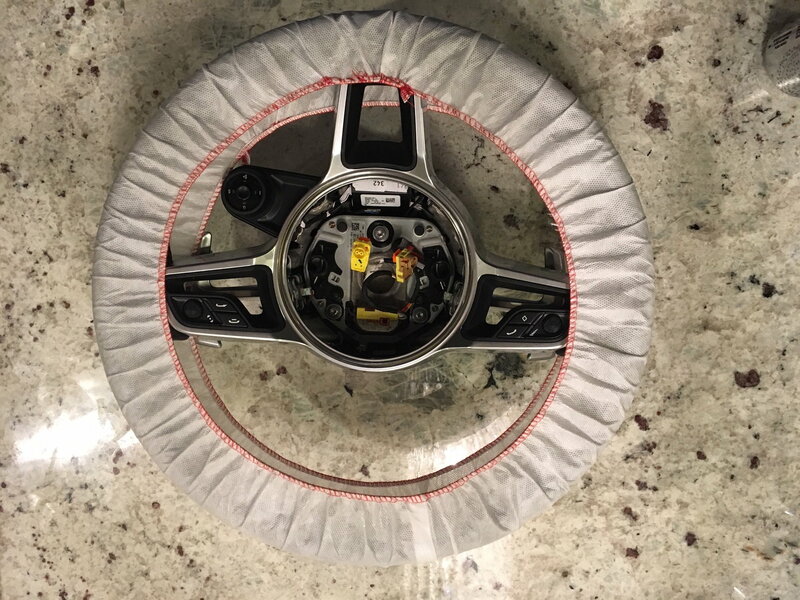 Is the leather sport padded steering wheel in the 997 aniline leather?